Posts at Narrative Devices have been pretty few and far between recently. As I mentioned a couple of posts back I’m basically just trudging through the mid season of most of the shows, and there’s nothing particularly remarkable or blog worthy occurring in the TV world. It won’t be long though until I’m drowning in ends of seasons and the drama, cliffhangers and end-of-year report cards they bring. May will also bring the excitement of the upfronts, where networks announce what terrible sounding pilots they’ve replaced all your favourite shows with. 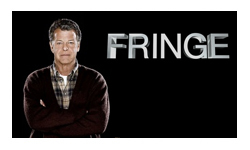 The biggest news as far as I’m concerned that has arrived in the last few weeks is the surprising, yet utterly wonderful news that Fringe has been picked up for a 4th season. It took me a little while to get into the show, but at some point it evolved from being an X-Files wannabe into a fascinating, complex and yet still entertaining look at alternate realities. Its renewal is all the more surprising given that it was moved into the ‘Friday Night Death Slot’ on Fox that has been held accountable for the death of shows such as Firefly, Wonderfalls, and even the Original Star Trek if wikipedia is to be believed. So I was happy to see Fringe saved from the uncertainty of ‘the bubble list’ – the list of shows that are in danger of not being picked up for next year. Being on this list almost always comes down to a simple matter of money – how much the show costs to make/buy and how much revenue it generates from advertisers. That’s where the ratings come in – more viewers means more advertising revenue, but it’s not quite that simple. Advertisers love ‘the demo’, the 18-49 age bracket who apparently spend all the money. So you might have millions of viewers, but if you’re Murder She Wrote and they’re all over 60, no one cares. The only other factor, besides income and expense is the age of the show. There’s a magic point at 100 episodes where the show becomes viable for syndication – the holy grail which means that it can be run over and over again by the myriad of local channels available in the US (according to wikipedia it’s 100 because this allows the show to be run daily for 20 weeks). There’s big money in there, so if you’re a bubble show in your 4th season with about 80 episodes in the bank, you’ve got a better chance of renewal than a show with comparable ratings and costs, but only 40 episodes. Of course while all that is happening behind the scenes, the very fact that your show is on the list effects its chances of renewal. Marketing spends less money on a show and people can stop watching it – why spend time getting invested in a show that not be around next season, after all if it DOES get picked up, you can always just catch up with summer re-runs or dvds. While Fringe has been saved, there are still plenty of shows bubbling away, but I find myself in the unusual position of really not caring whether most of them live or die. There’s a few on the list that I intend to watch when they make it over here (Off the Map and Chicago Code for example), but even those, if they’re cancelled I don’t think I’d really be that disappointed. CSI: New York is also bubbling apparently, and although I’ll continue to watch it if it airs, I wouldn’t miss it if it disappeared. Of all the remaining bubblers (sadly of course Stargate Universe has already been declared dead) there are only three I actually care about. 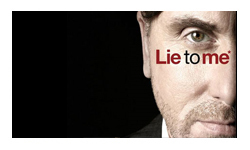 Lie to Me – The show itself can be a little predictable, the side characters are so far off to the side that it’s almost surprising when one of them actually speaks and the constantly changing show-runners have led to erratic direction… but Tim Roth’s performance is one of the most entertaining and interesting ones on television at the moment. I can’t work out why it doesn’t get more attention (both critical and from the ratings), I don’t think it’s ever really been marketed heavily, leaving people to think it’s “just” another procedural, if only they could do some promotion and get Roth some well deserved award nominations. I would have thought this show would work very well to support the increasingly elderly, but still Fox network stalwart – House. Unfortunately the Fox schedules are extremely tight (too many reality shows like American Idol) and with Fringe’s renewal, it’s not looking good for Lie to Me. 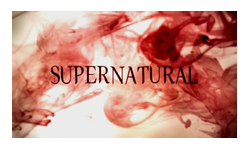 Supernatural – I don’t think this has been the strongest season ever, but the show and characters continue to develop in interesting directions and the writers and directors continue to find increasingly bizarre ways to push the boundaries of what a silly sounding show on the CW can actually do. It doesn’t do amazing ratings, but considering that it’s in the Friday Night Death slot on the smallest of the networks, they’re not too bad. Also it’s companion, Smallville, is ending this year, leaving CW without any well established shows. The fan base is absolutely rabid and I don’t think the CW will piss them off. 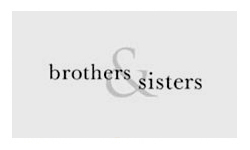 Brothers & Sisters – It’s cheesy and occasionally ridiculous, but I do love it like a comfortable blanket to be snuggled under. Fighting against it is the fact that it’s quite old and therefore relatively expensive to produce (pay rises and the like), but it does relatively good ratings and ABC where it airs have a reasonably open schedule. I got my bubble list and information from (updated as things change) are available at TVLine and EW.com mostly.